The problem of consumption is not only a problem of today&#39;s societies and the only modern science. Beginning of the modern type of consumption was started in the 18th century Puritanism — and even "negative" as a set of strict rules that limit it. The first phenomena of consumption as a significant social process associated with the new rich in the United States in the late nineteenth century and the residents of European cities of the same period. These processes have been studied in two large works of Veblen and Simmel (Veblen. Theory of the Leisure Class. M., 1984; G. Simmel. The metropolis and mental life (1903). In: D. Levine. On Individuality and Social Form. Chicago, 1971.) Without going into them in detail, I will mention only that Veblen was applied to the first term concpicuous consumption (luxury consumption) and highlighted the importance of role models of their European models of luxury. Second in the analysis of Simmel consumed to resist the overwhelming forces of the metropolis — "different to be noticed." But the real revolution in the phenomenon of consumption is associated with "Fordism", Ford created a type of industrial production based on the assembly line, high-wage workers and low prices for the products. From that time on became a mass consumption, and consumers — not only the rich, but almost everything. Yet the consumer society in its developed forms definitively established immediately after the Second World War. In the 50-ies. virtually all segments of the population in the United States and Europe are becoming consumers: how items, and Experience (For example, certain types of recreation). "With the 50-ies. and especially in the 70s and 80s. there are new groups for which consumption plays a central role in the life style. It ceases to be the only external characteristic of these groups — among such as age, gender, ethnicity, social status, defined by the type of activity. It is a sign of the internal dynamics of these new social groups. This internal dynamics is decisive for what might be called the social construction of identity of the members of a particular group "(R. Bocock. Consumption. L., NY, 1993, pp. 27-28; See also: A. Giddens. Modernity and Self-identity: Self and Society in the Late Modern age. Cambridge, 1991). now belong to one group or another is determined by the consumption of any clothes, shoes, music, etc. — this is especially characteristic of youth age 14-30 years. Curiously, at the same time with these processes sociology goes to new types of social stratification. The old "modernist", stratification of consumers based on the job of head of household. In the new characteristic of the development of the consumer society, the classifications at the forefront not the socio-economic group, and concepts such as "life style", age, presence or absence of children, interests. The transition from an "objective" description of the consumer to the point of view of the consumers themselves to themselves. Here is an example of the former, modernist stratification: high, medium, or lower link control, highly skilled workers, unskilled workers, unemployed, pensioners, and so d.Teper stratified society (especially, of course, specialists in marketing and advertising) as follows: older unemployed without children , engaged in the production of middle age without children, married with adults (5-15 years) children, married with young (0-4) children, married, about 40 years without children (platinum group), single and 40 years old, no children ( gold group). Thus, if before the term "lifestyle" meant that a behaviorally specific status group, the "in modern consumer culture it represents individuality, self-expression and self-consciousness style. The body, dress, speech, machine, resting place should be considered as an indication of individual taste and style of the owner / user. Unlike the 50s, understood as the era of conformism — the time mass consumption, as well as changes in the industry, in the partitioning of the market and consumer demand for a wide range of products can be seen as such an era where everything is provided by a wide range of (management which has become a kind of art) not only for those who were born after the 60s but also for middle-aged and elderly … We are moving towards a society without a strict set of status groups, to a society in which a particular style of life will no longer be associated with certain fixed groups "(M. Featherstone. 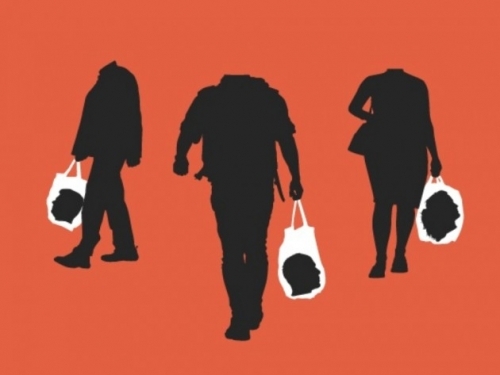 The body in consumer culture. In: The Body. Social Process and Cultural Theory. L., 1991). Following the work of Frederic Jameson, this social era became known as the "post-modernism". In the post-modern society (understood here as a sociological category, such as those associated with a particular type of consumption) as claimed by its theorists, the state of fluidity replaces the old forms a stable group membership. So now all the status symbols are less able to maintain its former meaning, just as the names of the prestigious haute couture houses appear on the clothing and accessories that can afford to buy anyone and have money to spend. Anyone who has money can buy things with labels from top designers — and in this sense, these commodities are not record the social status of its owner, but are those whereby the individual himself constructs an image that he wants to show others (Bocock, op. cit., from PP. 31-32). These changes can be demonstrated already in our cultural experience. For example, in the Soviet (pre-consumer) era of commodities, like the "chase" rigidly pointed to the social status of their owners. Let&#39;s say — let — the official nomenclature and Professor speak of "Volga", the store manager and PhD — "Lada", a work — "Zaporozhets". Now, if you continue to use the "automotive imagery", the car represents not so much the level of income (although it is, of course, too) but the "image" of the owner. Say and the Bandit and the businessman can afford and "Mercedes" and "BMW" — but the "image" of the bandit involves "BMW", the image of the merchant — "Mercedes", and the image, for example, the editor of the magazine — "Audi", but does not "gangster" BMW and "Merce" nouveau riche. And is someone who buys and smokes only Gitane without the filter does not show himself to others other way, rather than one who smokes only Camel? With the rise of the notorious "living" these "images" will become more closely intertwined with each other, or, as mentioned above, to become "fluid." If almost all available in almost all products, these products are not "chase" and "symbolic designer", by which I gather his image the way I want to look around. Social identification before, in the pre-consumer culture is based, as already noted above, in place in the social system of division of labor (I — worker, clerk, farmer). (Except for the "leisure class.") But now, many social groups attach decisive importance to their roles outside the workplace — at home, in sports, in entertainment. In the consumer society, people work longer in order to sustain life, but in order to acquire the ability to consume. Consumption is located on almost ephemeral — or hyper-real — level (Baudrillard), so now it&#39;s idea purchase, and act purchasing functions as a motivation for working. So, today&#39;s consumer societies, consumption is symbolic level. "Being a consumer … is to be included in a specific set of cultural symbols and values … in the consumption of today there is nothing" natural ", it is something that is acquired, which" teach the ", is the desire that occurs in people in the process of socialization" (Bocock, op . cit., PP. 53-54). This type of socialization involves, for example, that the characters should not just be "filed", they must be "tuned" to the consumer, there is a game between the marks, brands, labels and cultural values of consumers (see eg. : D. Kellner. Popular culture and the construction of postmodern identities. In: Modernity and Identity. Oxford, 1992.). This focus on the consumption of certain symbols, signs — the myths of modern societies — are analyzed, for example, in the work of Roland Barthes. In addition, Bourdieu in his studies of "intellectual capital" showed another aspect of this process, showed that consumption today is not only a waste of money and time, this is such a waste that passes through certain "cultural grid" — in particular, the cultural grid "good taste "(which is a form of intellectual capital). And in this sense, education (another form of intellectual capital) and "taste" are also components of modern consumption. All this does not mean that the consumer society is a kind of transition from capitalism and "economism" to something else, to some totally "different" social formation. At the level of the external, objective analysis of all social class and economic characteristics of capitalism remain in force. However, processes for identifying members of the public of their role in the public distribution system work are less important than their activity as consumers. And here it is impossible not to mention the work of Baudrillard — primarily because it is the first, perhaps, broke with the old model of capitalism — that model which comes from Marx and Weber. According to Baudrillard, any consumption is primarily a consumption of signs and symbols. These signs and symbols do not express certain to have an existing set of meanings. The meaning is generated in the system of signs / symbols that attract the consumer&#39;s attention. Consumption of today has almost lost its connection with the satisfaction of a pre-existing set of needs (because it knew classical economic theory), rooted in human biology. This is a process in which the customer is actively involved for the sake of trying to build and maintain their identity. Consumerism should not be seen as an activity that produces consumer as a kind of passive mass — it (consumerism) has turned into an active process that involves symbolic designs both individual and collective identity. As has been pointed out here, the identity should no longer be regarded as defined by membership in the economic class, social status group, ethnicity or gender. Identity is actively constructed for themselves more and more people — and consumption plays a central role. An individual in a modern or post-modern capitalism is not constituted as "attractive woman" or "nice man." People are trying to become who they want to be buying things that they imagine will help them create and retain the idea of themselves, their image, their "Identity of." And consumer goods signifying, that someone is X or Y for himself and for those who share with them the same codes which mean the same system of signs / symbols. Thus, the meaning of the term "consumption" suggested by Baudrillard, the consumption of signs and symbols, not just things, not just material objects. Consequently, the consumer often feels frustrated by buying an object that he wanted and that he saved. Anticipation of the purchase, the desire is often experienced as bringing greater pleasure than the act of purchase. This means that "Do not consume limits. It would be naive to assume that it can be saturated and satisfied. We know that this is not the case: we want to consume more and more. This compulsion to consume is not the result of some psychological reasons or something similar, and not due to the power of role models. If consumption is something indomitable, it is because it is completely perfect practice that has nothing to do (after a certain point), nor to the needs or the reality principle … Consequently, the desire to "tame" the consumption or to work out rules of the system requirements is naive and absurd moralism "(J. Baudrillard. Selected Writings. Cambridge, 1988, pp. 24-25.). So consumed by the idea, not the things associated with the consumption of cultural characters and the relationships between the characters. Since this is an ideal practice, it may not be the final, physical saturation. We are doomed to continue to wish for that type of social formation that has developed in the post-modern capitalism. Consumption based on shortage — On the desire that absent. Modern / postmodern consumer, therefore, will never be satisfied. The more he consumes, the greater the desire to consume and that desire is maintained even in an economic recession, if not depression. But to the extent that we are the subjects of the consumer society — Welcome to a new utopia! — We want the unattainable, ie meet all the desires.